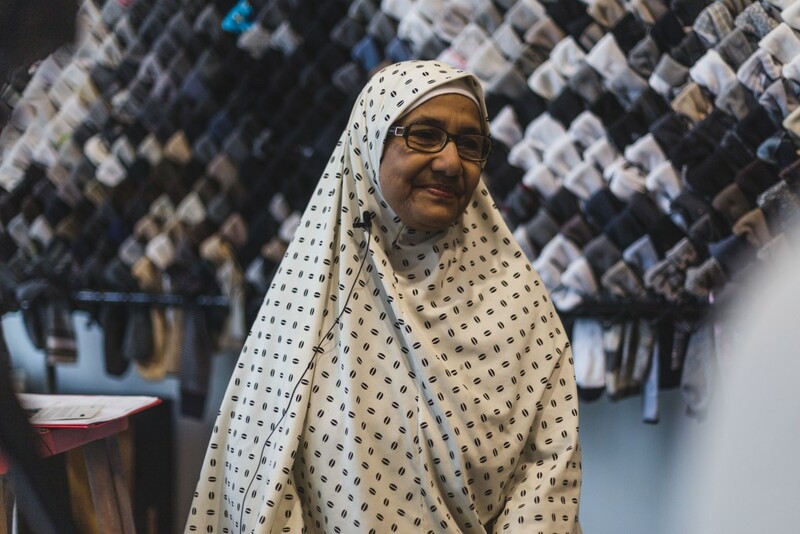 It is a handmade tribute to the neighbourhood’s past and a vision of its future seen through the eyes of members of the Regent Park Women and Families Quilting Group, a collective of Bangladeshi women who gather together to sew and socialize in their spare time. 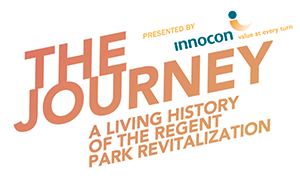 The Daniels Corporation commissioned the quilt, and a song inspired by the Quilting Group is included in The Journey: A Living History of Regent Park. 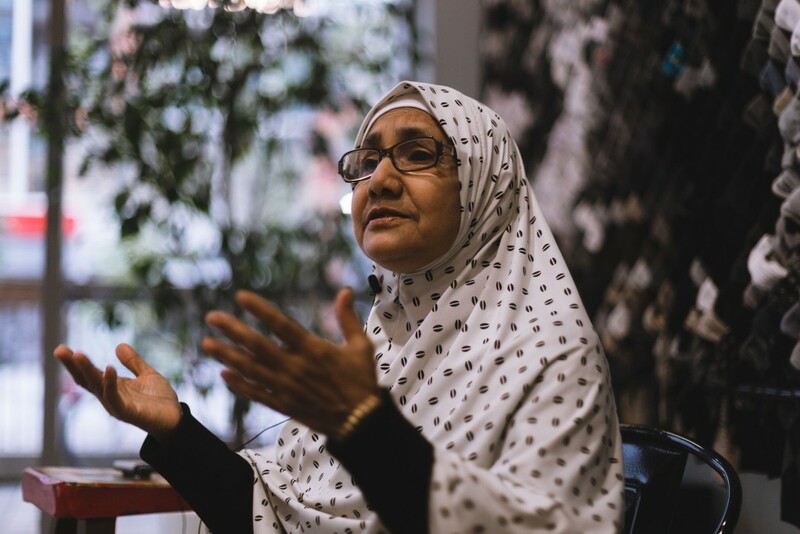 When Mossammat Sakina Khanam moved to Regent Park with her family in 1997, she quickly found friends in the neighbourhood’s large Bangladeshi community. As an immigrant herself, Sakina recognized the challenges of being half a world away from the people who love, understand and accept you. She noticed the women in her community were struggling with their new life in Canada and, as a social worker, she knew that she wanted to help. 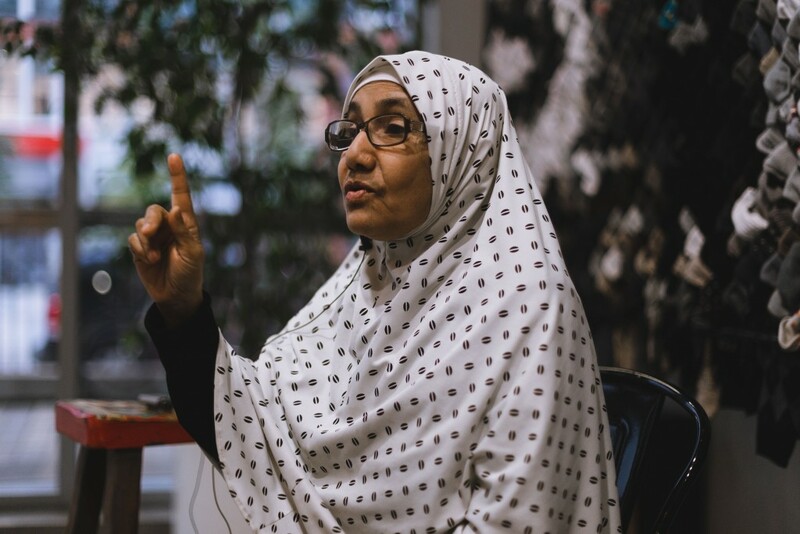 In the evenings after work, Sakina and a handful of like-minded women went door-to-door, speaking to their neighbours and learning about their problems and concerns. 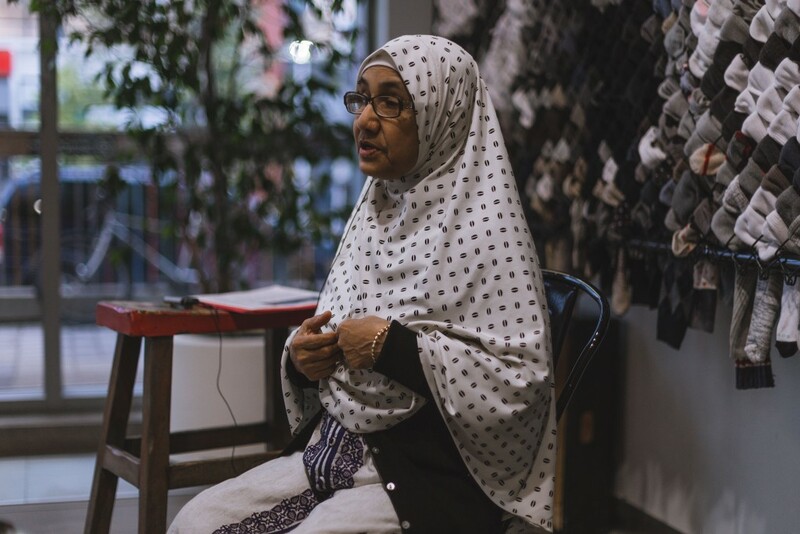 They formed a grassroots group, Regent Park Women and Families, and with an injection of funding from the Ontario Trillium Foundation they began running programs to connect South Asian women and help them integrate. They offered ESL classes, a homework club, parenting workshops and a sewing circle. Sakina’s sewing circle started as a social activity, but its members soon developed entrepreneurial ambitions. “The women wanted a way to earn money,” Sakina explains. “But they are not skilled, they have language barriers, they come from conservative families.” Many of the Bangladeshi women Sakina was working with had never been employed outside the home; their responsibilities were raising children and taking care of the household while their husbands went out to work. The idea of a sewing business was appealing because they could practice their cultural traditions while earning a small amount of money in their spare time. “When women spend their time in a fruitful, creative way, it gives them some happiness. And when they get money [for it], they are so transformed,” says Sakina. Thirty women participated in the initial sewing program and some went on to start their own business as seamstresses. Other women from Regent Park Women and Families now work as early childhood educators, food service workers and professionals. More than a decade later, Sakina’s sewing circle still gathers together to produce their beautiful quilts and handmade bags over tea and conversation. Regent Park’s redevelopment has given them new opportunities to sell their work and showcase their talent around the neighbourhood, but it has not come without hardships. The relocation of TCH residents to other units around the city has fractured the networks that Regent Park Women and Families worked so hard to develop; sometimes friends who move out of the neighbourhood don’t come back. Unable to afford commercial rents in the new buildings, the sewing group has not been able to secure a permanent workspace that accommodates their needs. 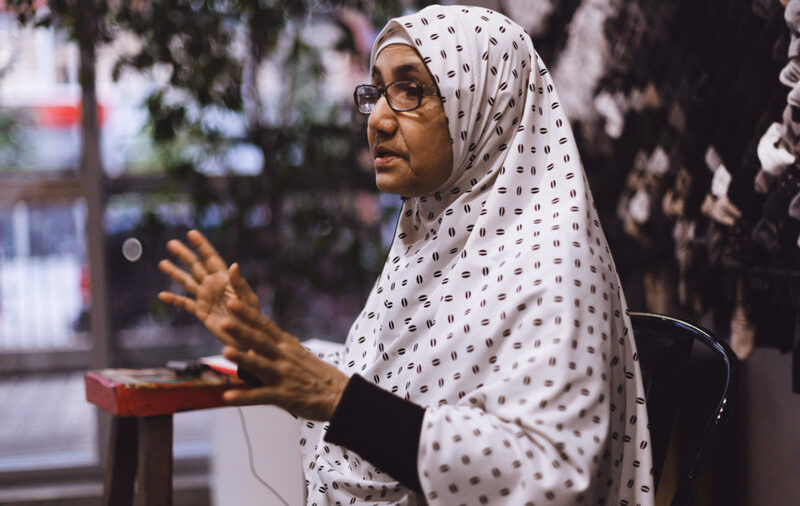 After more than a decade as a grassroots organizer, Sakina dreams of a future where Regent Park’s many agencies and not-for-profits work in a coordinated way to deliver programming for women. “I have a vision of one women’s organization in Regent Park. For all cultures, with all programs. Everything under one umbrella in one big space,” she says. Her experience living in a multicultural community has shown her that people have more similarities than differences. All cultures have their handicraft traditions. Young women around the world are taught how to sew, weave and cook by the older generation. One of the biggest similarities she sees is the desire to be connected to the people and communities around us. To participate in building something—big or small—and to stitch together the pieces of our past into the future we’d like to see.